thomsquatch: Cattle Mutilations: Chris O'Brien Closes the Case! 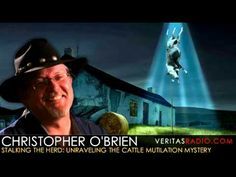 Cattle Mutilations: Chris O'Brien Closes the Case! Cattle mutilations are a mysterious paranormal phenomenon that has evoked varied reactions including curiosity, skepticism, and even ridicule. Only recently did I decide to investigate this matter for myself and I now have two new emotions to add to the list: amazement and horror. Cattle mutilations have been happening all over the place for a long time, but there are concentrations of this phenomenon both in time and place, One such place is the ranch country of the inter-mountain west, specifically the region of the U.S. in and around the state of Colorado. This weird phenomenon has been happening for a long time, but there was a time in the 1980's and 1990's when it seemed to be happening with astonishing regularity. I knew next to nothing about this phenomenon before attending Dave Paulides' Mile High Mystery Conference in Denver, Colorado in the fall of 2017. It was there that I met, and attended the excellent presentation of the world's foremost authority on this gruesome topic, Chris O'Brien. 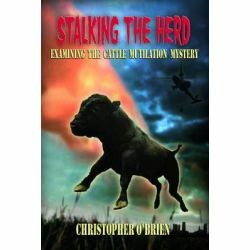 Chris is an articulate speaker and the author of Stalking the Herd, a very hefty book on the complicated subject of cattle mutilations. The moment Chris finished his presentation, I jumped from my seat and dashed to his table where I was first in line to buy a copy of this book. Being a dense book, it took me a few weeks to dive into it. It took me a few more weeks to work through the highly detailed chapters. 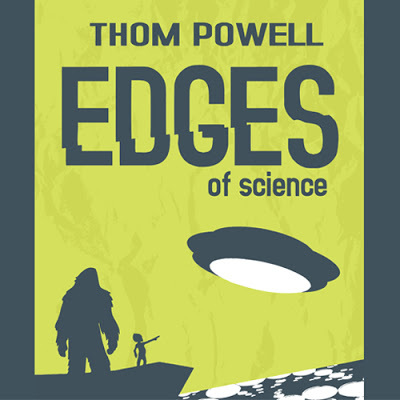 I was tempted to skip to the last chapter but I'm glad I resisted, because when I finally earned my way to the final chapter in which he essentially solves the cattle mutilation mystery, I was stunned. I hesitate to give it all away here because Chris' conclusions, while logically bullet-proof, are so radical that they become exceedingly difficult to accept in the absence of his meticulous dissection of the available evidence. Conversely, if one wades through Chris' convoluted logic, the gravity of his book thuds your mind with the force of a mutilated cow falling from a flying saucer. Sorry for that last analogy, but it was for a purpose. Chris concludes that there is definitely an extraterrestrial element to the phenomenon and that, essentially there is a program of environmental monitoring that falls logically from the cattle mutilation phenomenon. There may also be a copy-cat phenomenon that is enacted by more terrestrially-based individuals, maybe to discredit the phenomenon, or maybe to learn the same things that the ET element has gleaned from their persistent and ruthless sampling of bovine tissue. being transmitted by bacteria or viruses, this insidious disease is transmitted by weird beasties called prions. These prions are effectively transmitted from cattle to humans by the simple vector of our meat-based human diet. How the prions ended up in our food supply in the first place...you don't even want to know. It's a long story but suffice to say two things: again, it's complicated AND Chris does a fantastic job of documenting the facts behind the disturbing truth. Don't get me wrong. I am a dyed-in-the wool carnivore. (sorry for the mixed metaphor.) Heck, I had ribs for dinner last night. Still, CJD is this bizarre condition that is as virulent as it is insidious. Oddly, the most certain way to determine its presence in humans is to do a brain biopsy. Well, you pretty much have be be dead before they can take a piece of your brain for biopsy so the spread of CJD in humans becomes exceedingly diffficult to accurately track. The few observable symptoms, prior to death, also closely resemble the unrelated condition of dementia. So, you might ask, why would ET's care whether human life spans are cut short due to our love of beef? Chris offers an answer that is so radical and courageous that I threw down the book and applauded the instant I read it: because the extraterrestrials, more properly known as off-planeters, are not entirely off-planet! They live here like we do (at least part of the time) and they very much care about the health of the planet and its concomitant food supply. If I wasn't so paranormally inclined myself, that thought would have been too radical to even consider, but after delving into various paranormal considerations for a a long time now, I was gratified in the extreme to read a person's work who has arrived at one of the same stunning conclusions that I have been endorsing right along. The problem, of course, is that this whole subject is not only complicated, but the implications for long term human health are downright disturbing. To take all of this on makes for a long and sometimes complicated book, but sometimes we just have to 'do' complicated if we really want to understand things. In light of all this, I will confidently assert: Chris O'Brien understands cattle mutilations and the motivations behind them. I'll go even further: Chris O'Brien has solved, once and for all, the cattle mutilation mystery. Read his book. It is excellent. Here is a link to order it. It is also available at Amazon.com. 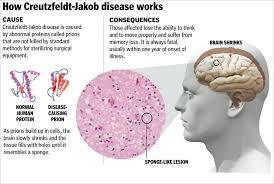 Below is a graphic that summarize CJD, which is also known as bovine spongiformes encephalopathy (BSE) which is one member of a family of diseases known as transmissible spongiformes encephalopathy (TSE). See what I mean about 'complicated'? I can't blame anyone for wanting run and hide from all this. Ignorance is bliss and I do like beef. I guess I also like to learn new things, even when they are complicated and a little scary. I do try not to take every human health issue personally. The human body is quite resilient. Heck, I grew up in a household of cigarette smokers and I'm not dead yet. I didn't look both ways last week and almost got run over by a bus. As a boat builder, I have exposed myself to more carcinogens than I can count. I feel like I'm already living on borrowed time, but as they say, "It's better to be lucky than good." 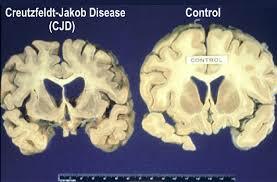 That said, CJD is a real threat to long-term human health and it is likely to be a bigger deal in the future. The take-home message here is that, in addition to the cattle industry's contribution to climate change, the potential spread of CJD it is yet another reason why all of humanity would be better off with a vegetarian diet. Not likely to happen, I grant you, but better off just the same. If one clicks on this link, there is more information about CJD. There is tons of further information if you do a Google search. Or, you could just read Chris O'Brien's book. Here again is a link to Stalking the Herd. It's all in there. My name is Church Dragon-slayer, and I've got a few ideas on this topic. First of all, the CDC is dramatically downplaying the incidence of CJD in the USA. If you do a basic Google search for "CJD Cases USA", the CDC's website pops up first--surprise surprise. Here are the first few lines of the CDC "hit" on Google that is being used to brainwash the masses: "Four cases of vCJD have been reported from the United States. By convention, variant CJD cases are ascribed to the country of initial symptom onset, regardless of where the exposure occurred. There is strong evidence that suggests that two of the four cases were exposed to the BSE agent in the United Kingdom and that the third was exposed while living in Saudi Arabia. The specific overseas country where the fourth patient’s infection occurred is less clear." That is such BS, and it's actually more than mere bovine scatology, it's propaganda to cover up the problem. Five years ago, my sister's friend, at the gov'mt office where she worked, came down with CJD DIAGNOSED BY THE HOSPITAL and died from it. I guarantee that woman's name is not listed in the four "known" cases listed on the CDC's website (incidentally, you might not be aware that CDC really stands for Choreographed Disease Columniation rather than the Center for Disease Control. In fact, over half the CDC's budget is spent on developing new and virulent diseases that did not previously exist at all. Gotta love debilitating flu strains that spread throughout the population "like clockwork every year," as explained by CDC spokespeople like the good shepherds they are (sarcasm duly noted).This year an especially bad flu strain hit right when the public might have noticed how rigged Trump's new budget and tax program actually is. Now folks are too sick from the flu to notice, even while they are distracted by the "Men Are Evil / Me Too" psy-op. As for CJD, it was purposefully spread from the Fort Hills Research Station in Colorado to five western states through infected deer, which were then used to infect new batches at other research stations and then released into the wild. When it comes to cattle mutilations . . . like most UFO sightings, the evidence does not point to aliens, but rather to black ops human-designed craft (not reverse engineered from alien craft). Why would a bunch of black ops folks wanna mutilate cattle and take specific organs from them? In their campagin to create GMO human-animal hybrids using cattle t-cells and other organs to get the job done. And if you believe Crick and Watson were the original folks who discovered the Double Helix "for the first time," then I will sell ya a landbridge in Gifford Pinchot Nat'l Forest for a thousand dollahs. Great stuff. Thank you for the comment. Be sure to read Chris’ book. His reason for attributing some of the phenomenon to ETs is complicated but compelling.